Pingguo Jianfeng Aluminum Co.,Ltd. 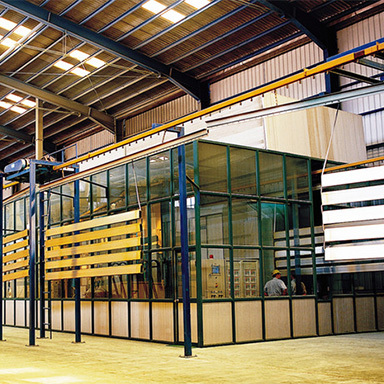 is an aluminum extrusion suppliers specialized in manufacturing various kinds of top-grade powder-spraying aluminum profiles, chinese aluminum extrusions, located in scenery-picturesque Pingguo County, Baise City, Guangxi Autonomous Region. Trademark is "Gold Apple". 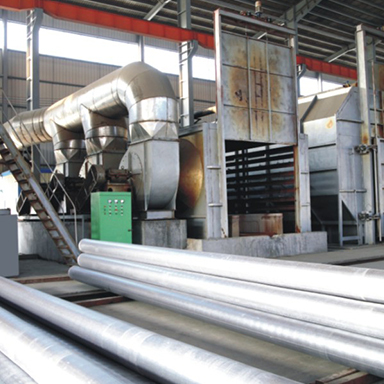 Covering an area of 530,000㎡, our company holds global updated production equipment and quality inspection system, the surface processing include series of aluminium profiles that have been subject to the processes of mill finish, oxygenation, electrophoresis, polishing, powder spraying, PVDF, wet painting, wood grain transfer, thermal break and insulation, and used for such four majors fields as door and window, curtain wall, decoration and industry. Our annual output reaches 100,000 tons. Relying on China most deposited and best quality Guangxi bauxite resource, our company has long-term closed cooperation with famous China Aluminum Guangxi branch to guarantee an excellent and stable product quality with quality pure aluminum supply. 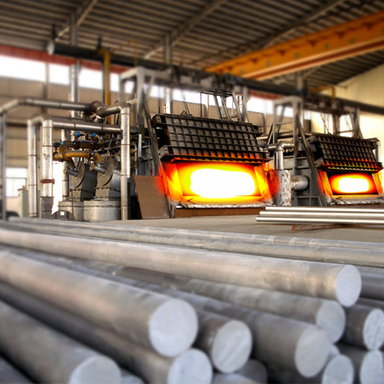 Inheriting the advanced production technology, we make efforts, relying on more than a decade of experience in aluminium profile processing, to develop, and by now we have possessed tens of national patented technologies, which make our products in the leading position in the market. Meanwhile, we developed updated MRM managing system of production management to ensure efficient management and standard operation for production, marketing and service. Insisting on the concept of innovation relying on science, we have close cooperation with research institutions, and successfully developed high-strength, erosion-resistant Mg-Si-La alloyed aluminium profiles, and become one of lanthanide aluminum profiles production base of China. Gold apple strictly adhering to quality management system, according to GB5237.1-GB5237.6 of National standards, AAMA2603, AAMA2604, AAMA2605 of the United States standard, BS6496 of U.K. and other international standards, stipulate and implement higher-level compan　internal standards controls, process guideline and equipment operation direction. The company adopted and obtained the ISO9001: 2000 quality management system, ISO14001: 2004 environmental management system, ISO10012: 2003 management system and "a radius of Chinese product quality certification mark" certifications; and access lots of honored of the "Guangxi brand", "Guangxi famous trade mark" and etc. 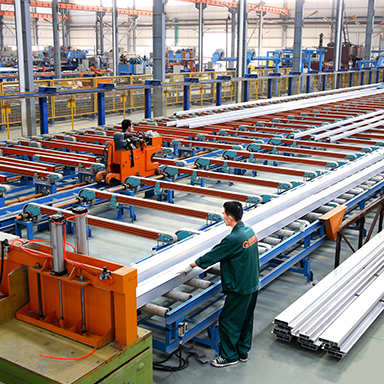 We insist on people oriented as our talent strategy, according to the features of aluminum profiles industry, we invited famous enterprise management specialist comply with the standard requirement of modern enterprises to carry out regular training to improve our employees. We have so many experienced enterprise management staff and engineers, of which high, middle title staff takes 20%, college education personnel takes 35% and establish a knowledge-based management team. Company adhere to market-oriented, established North China, East China and Southwest as our main domestic selling network, and export our products to scores of countries and regions. Such as North America, South America, Europe, Africa, Mid-east, East Asia and Southeast Asia and so on. "Gold Apple" as core brand aluminum profile series products to domestic and foreign markets quickly. ALUMINIUM CHINA 2010 will again engage the Aluminium and Application communities with superb business opportunities, witnessing a surge in the number of visitors coming from across the country and around the world by running in parallel with the World EXPO 2010. The IAI is the Global Forum of the world's Aluminium Producers. The IAI represents aluminium and alumina producers worldwide. FRAME-WORLD Structural Aluminum Extrusions and Components provide a complete system that allows quick and easy design and assembly of machine bases and frames, stands, guard assemblies, material handling fixtures, safety guarding, robot safety fencing, and tooling supports.